I felt that the large one needs a few more trc, so I added a couple more on the diagram. 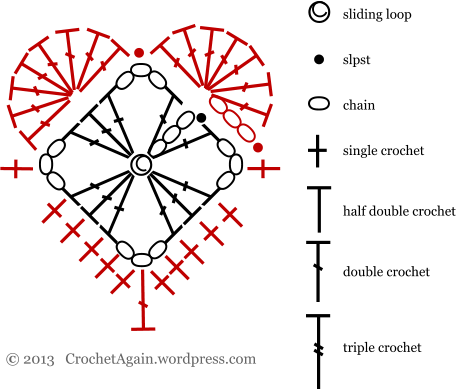 (I also think the large one looks nicer without the ch3 in the middle of the triple crochets, more like the small one). 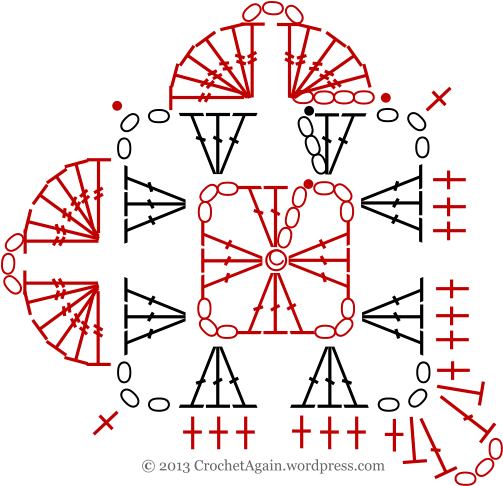 And here are the diagrams for making them. Had a publishing glitch, should be fixed now! 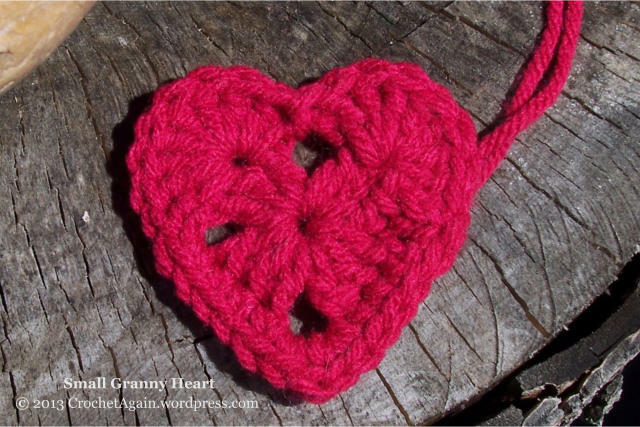 I love these granny hearts! 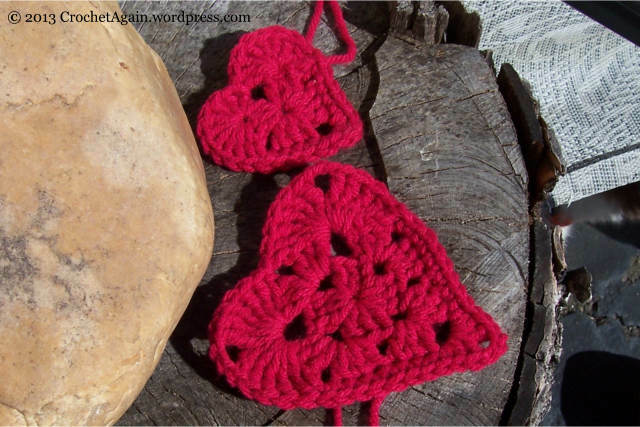 In fact I like anything with granny crochet designs. 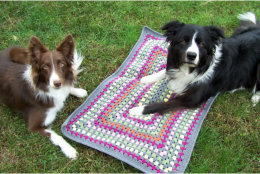 Thank you for sharing your pattern! Lovely as always – i am inspired! Thanks for letting me know, hopefully it is fixed now! I figured out what the beads were, chain, black lines, dc, red lines, trc but what are the dots? ps and what are the red small lines? the small lines are single crochet.